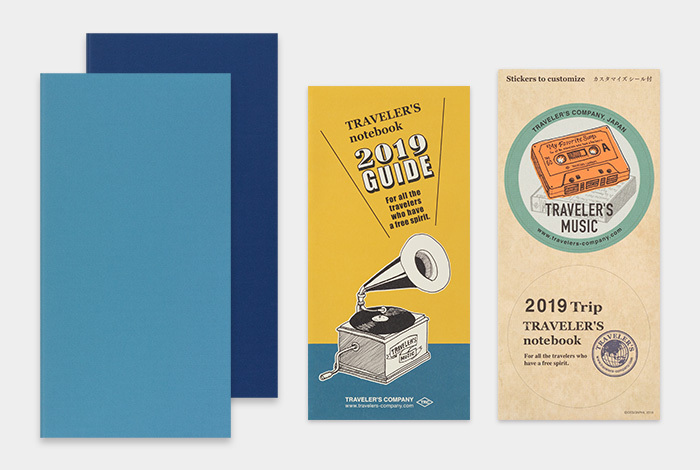 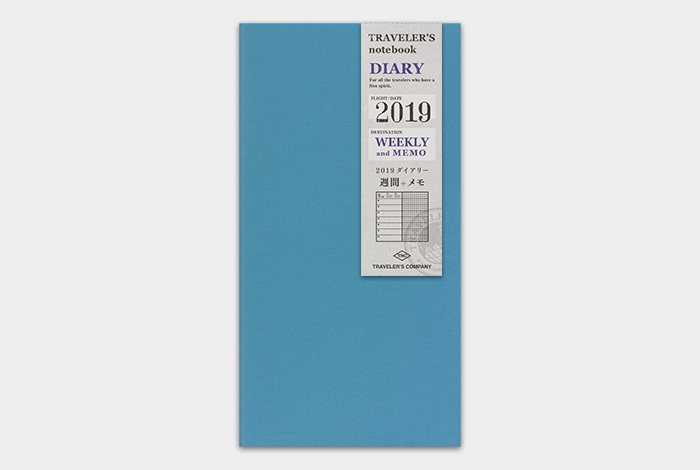 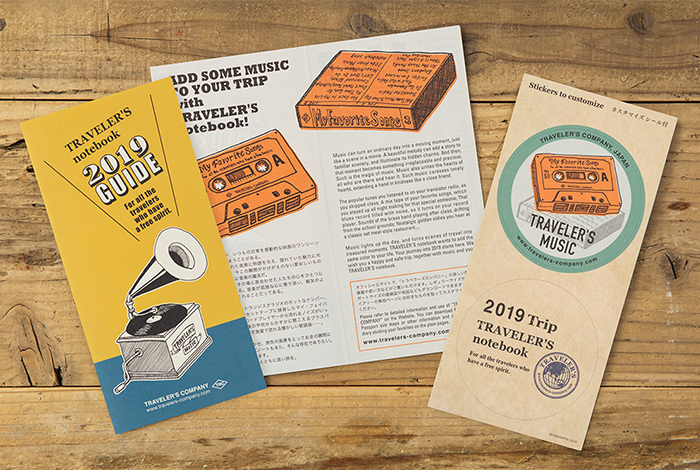 This is 2019 Diary Weekly+Memo for TRAVELER’S notebook. 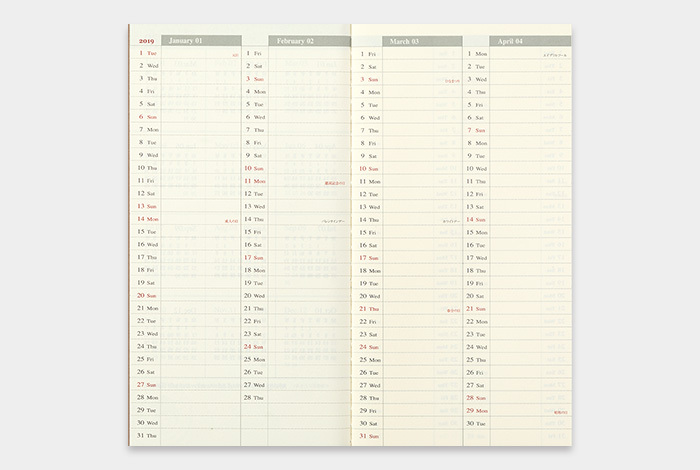 A weekly Diary with a page worth of memo space. 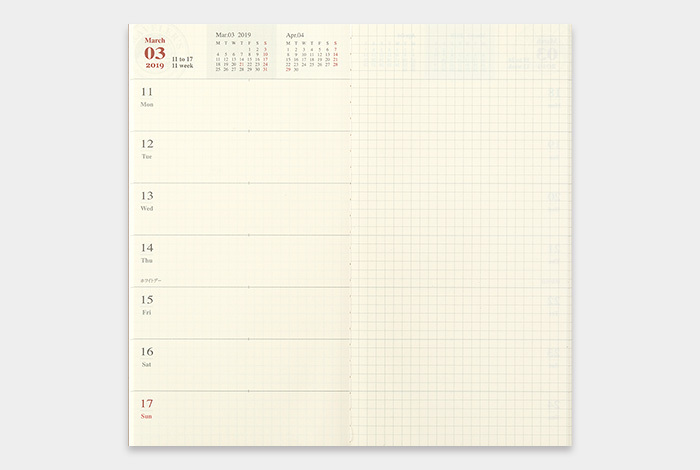 On the left side, you have the section where you can write your plans, and on the right side, you have the memo section where the grids are being printed to make writing and drawing easy. 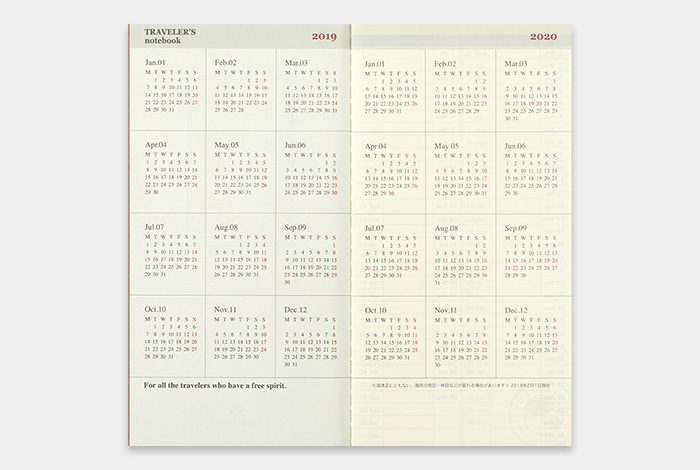 A single notebook covers worth six months. 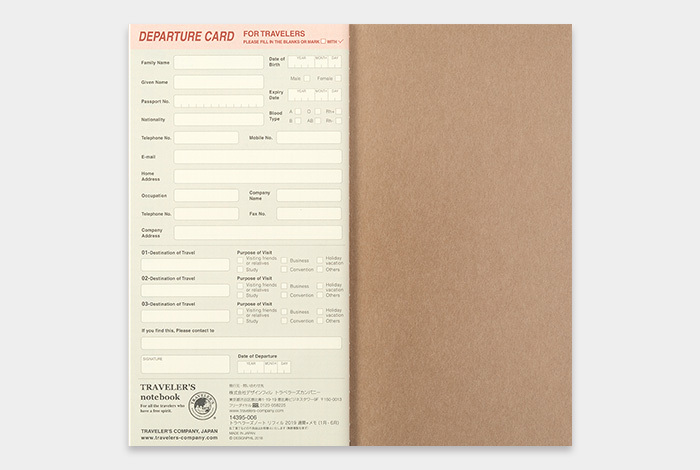 This set include 2 pcs. 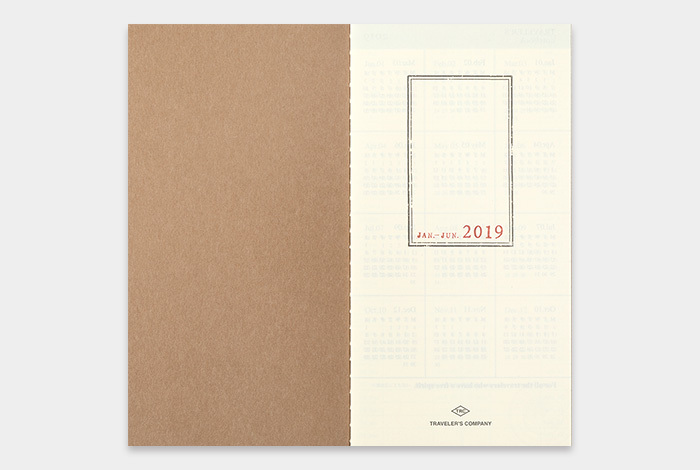 for the first half and the second half for 2019.The MD paper is used for this notebook so the feeling when writing is simply great.